How to fund your internship abroad! Pursuing an international internship is not just a great opportunity to gain practical experience in your desired industry, but a chance to benefit from international cultural exposure through living in a brand new environment. However, financing a trip abroad can pose some challenges. Nevertheless, you shouldn’t let that be the reason to stop you from pursuing your dreams. There are countless of available resources that are simple and helpful for funding your academic endeavours. the necessary funding for their internship with AIP! The Go Overseas Study Scholarship is a $500 USD study or intern abroad scholarship that requires the completion of an application form, an essay and a creative photo from it's applicants. Being a need-based funding program, Freeman-Asia determines the benefits of receiving the aid. The Freeman Foundation aims to strengthen the friendship between the United States and countries in East Asia through education. The Jerome Foundation Travel and Study Grant supports students by striving to provide funding for education abroad. This grant is aimed at emerging artists, some of the eligible disciplines consist of film, video, dance, writing and literature. This is for those earning university credit for their internship. Applied through the financial aid office at college or university, federal student aid requires essential paperwork such as the FAFSA. This program offers scholarships to undergraduate students in the US who seek the oppertunity to study or intern abroad, and do not have the financial means to do so on their own. This program awards up to $2,000 in grants for those looking to intern in Indonesia. This society seeks to enhance the relationship of Indonesia and the US through education. AIFS offers more than $800,000 each year in financial support to deserving students. Their aim is to provide financial assistance to as many students as possible in support of their goal to study abroad. For this scholarship, candiadates are chosen based on a creative application. Applicants will be judged on the uniqueness, creativity and personality, and message and appropriateness of the assignment. The GSA aims to provide funds to students who are looking to study and intern abroad to fund international diversity in educating students outside of their home countries. This is a non-profit organization whose motto is; Students Helping Students, by focusing on representing international students through cultural integration and self-development. This scholarship does not require a GPA, essay or financial need requirements. The funds must be used for educational expenses and require candidates to fill out an application form and a blog post. The European Funding guide a useful tool when searching for a scholarship or grant to study or intern abroad. Fill in your information to find a scholarship specific to you and your time abroad. This is a scholarship search engine. IEFA’s aims to promote international education acoss the world. Use this search engine to find the ideal form of funding after filling out information on the IEFA website. A crowdfunding platform that allows people to raise money for a campaign varying from life events. GoFundMe has raised over $160 million in funding, and the site is free to sign-up and promote a campaign. A personal crowdfunding site where you can raise money for anything that is important to you. It's easy to use, with a simple setup process. Compared to all crowdfunding websites that charge a fee, GoGetFunding offers the cheapest rate. A scholarship app designed to ease the scholarship process for students. The downside of Scholly’s scholarship platform is that it’s limited to U.S. citizens or residents living within the United States. However, if you live in this region of the world check out the app! You don’t want to miss your chance at funding your trip abroad. This is another scholarship platform that provides online resources for paying and preparing for education. 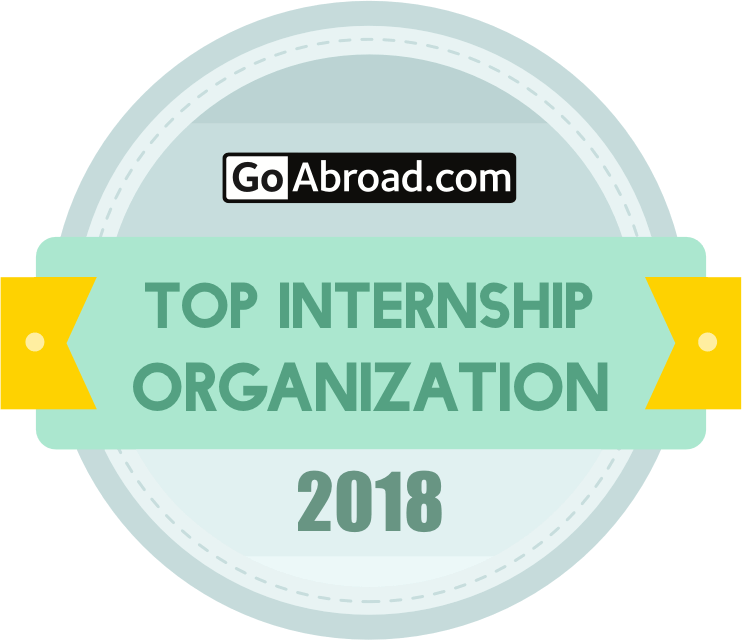 While these scholarships are not strictly limited to financing your college education, awards can be used for as financing your internship abroad. With Fastweb, students are matched to relevant scholarship opportunities completely free of charge, and it’s easy just apply! One of the most convenient and successful ways of funding your internship abroad, is finding a part-time job and saving up. Also deciding work to fund your internship abroad, you eliminate the gamble of whether or you’ll win a scholarship by not having to compete with thousands of other students for similar awards. Universities offer their students grant money that can be used to fund their trip abroad whether it be studies or internships. In addition, AIP is partnering with many Universities worldwide to provide discounts for their students. To assure yourself whether there are further agreements with your home University in place, just send an email to your career center or international office and they will provide you with all the necessary information. FundMyTravel has a team of dedicated staff who want to help Asia Internship Program participants reach their fundraising goals. They can provide tips and insights on the best ways to spread your word and offer sharing tools to get your campaign greater exposure through social media and email. Click the button below to learn more and get started!